So I've finally mustered the courage to start on a costume I've wanted to make for several years - namely Suu Lawquane! 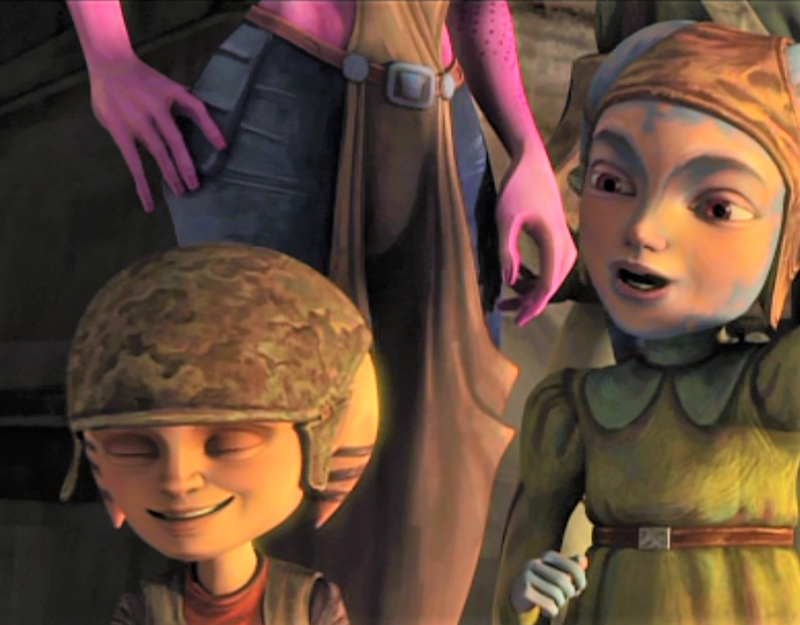 (She appeared in only one Clone Wars episode: season 2, episode 10). There are currently no costume standards for her, so I also plan to help make them, so Suu can be an officially approved character with the legion. 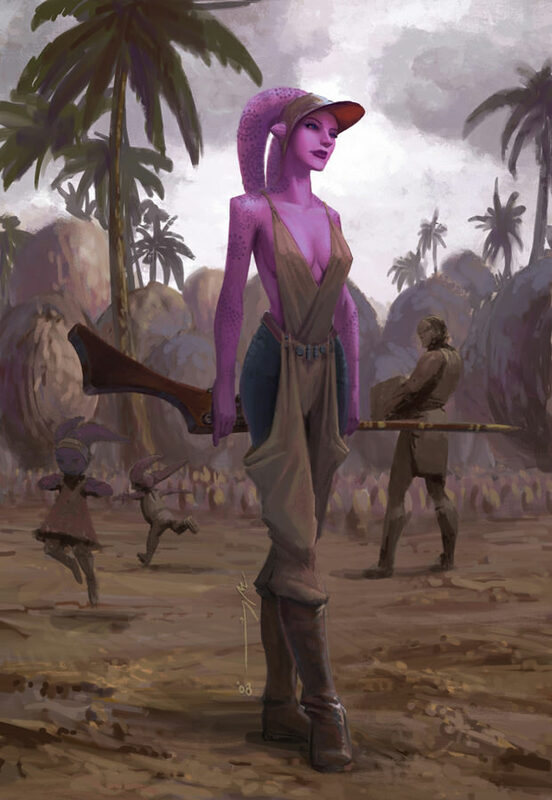 This is the only concept art I could find of her. They stayed close to her original design. 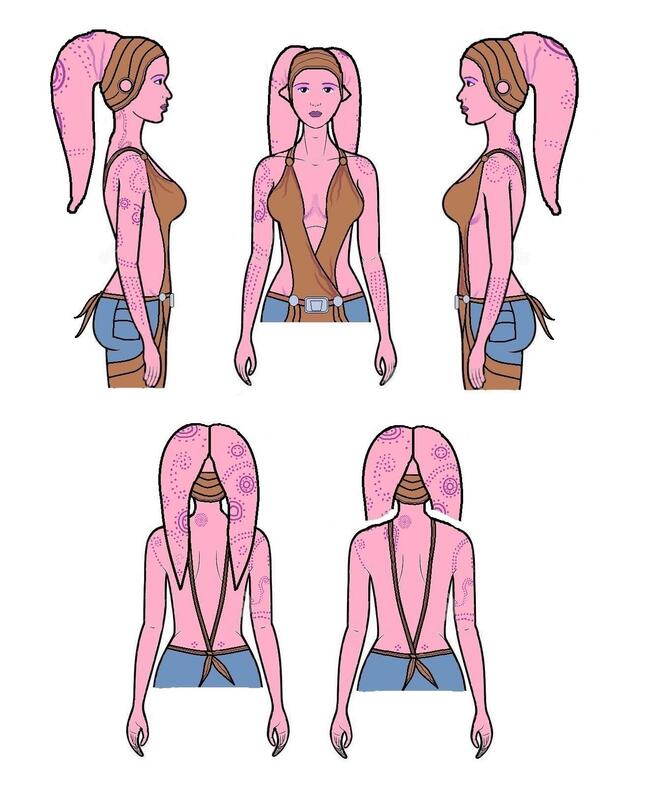 Most notable changes are her hat, some of the tattoo patterns and details where her overalls. 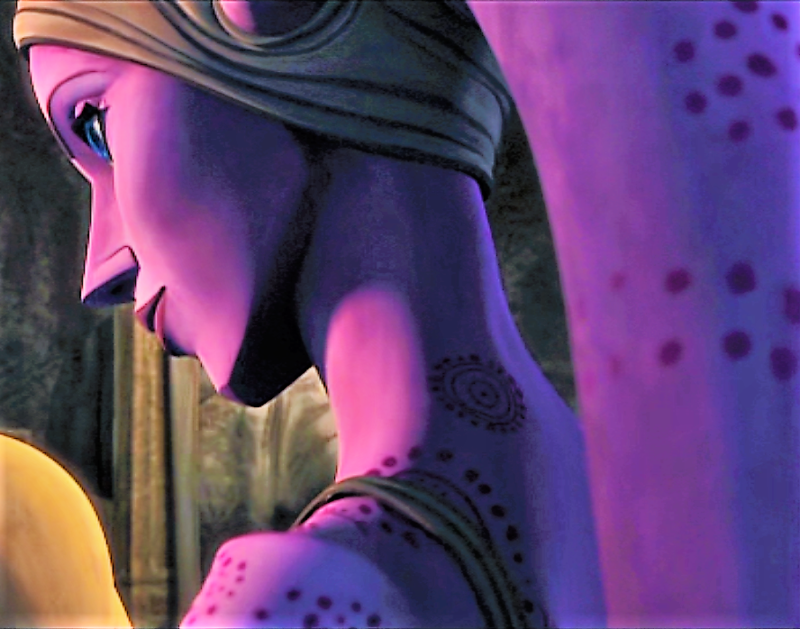 After thoroughly going through every screenshot I was able to take, I mapped out her tattoos. 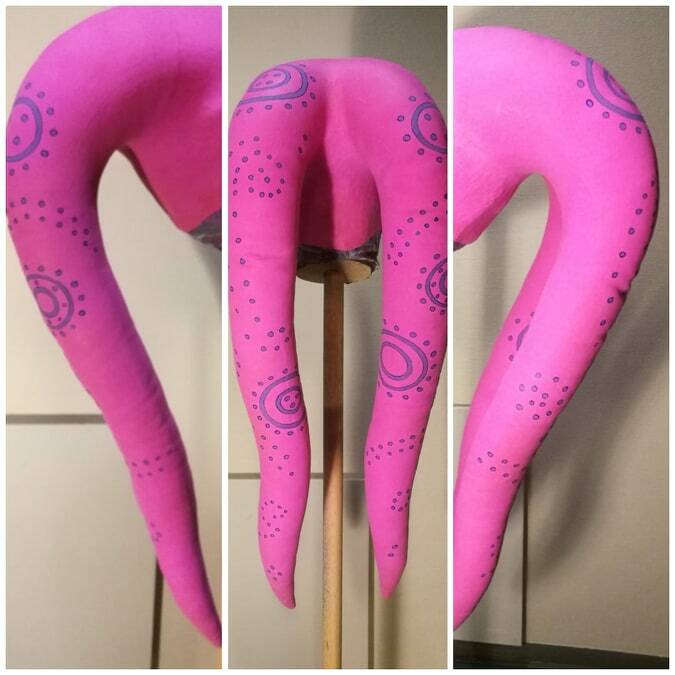 I plant to paint them onto a pink bodysuit, which I will also contour/shade to make it look more realistic. I bought a pink bodysuit from We Love Colors - I think it was "orchid pink". I have also bought and tested ProAiir Hybrid in the colour "bubblegum pink", which I found to be a good match. Here with outdoor lighting. And no, I didn't plan for the shoe to match. 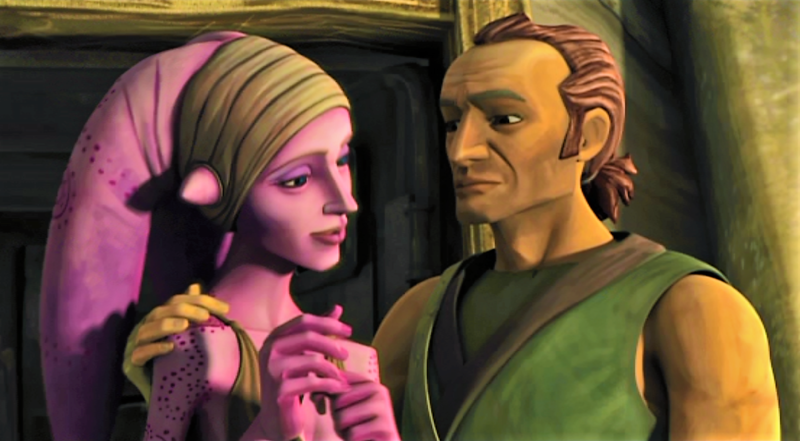 Going with pink latex lekku from Twi'lek Paradise; they are currently under construction, so I'm waiting excitedly. Well this is a start, at least. So, the mystery of Suu's overalls. I've run into an issue here. I struggle to understand how to make them. It looks like they are draped around her thighs. 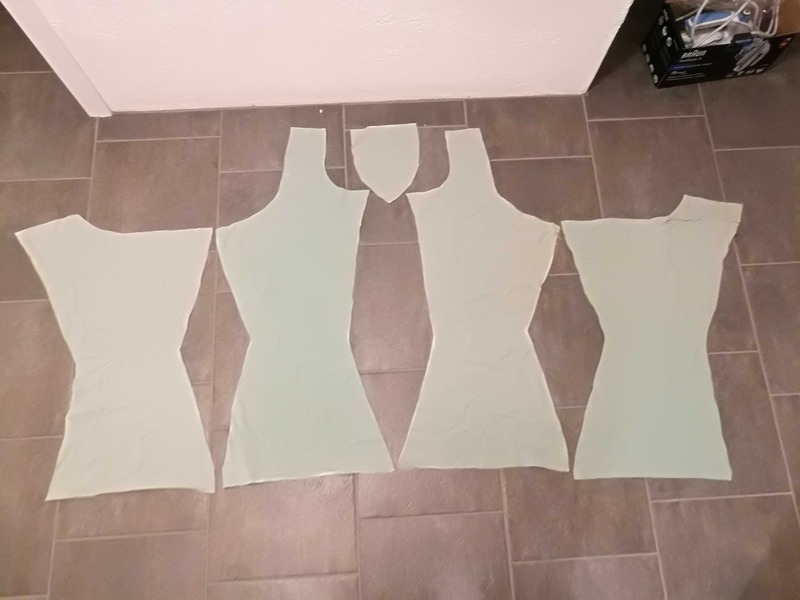 I have zero experience with draping and don't know how to cut out the fabric for it - how the shape would look in 2D when traced onto the fabric. So, time to think. Any pointers are appreciated. 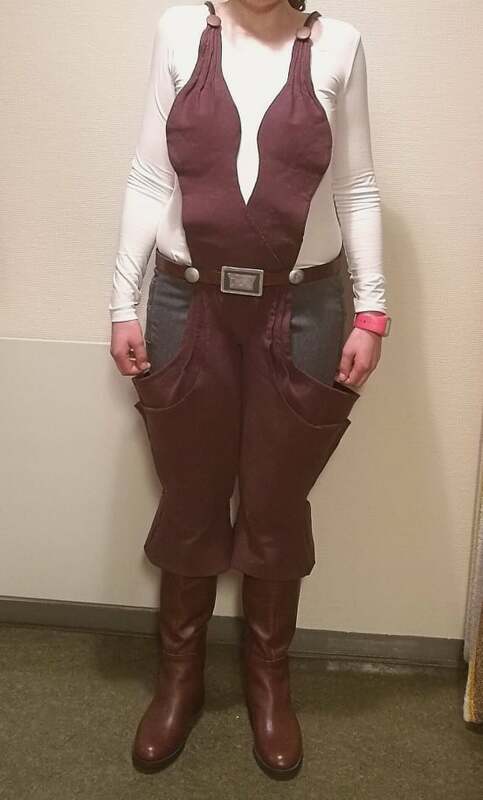 This is a wonderful costume and I am very curious how you put it into practice. 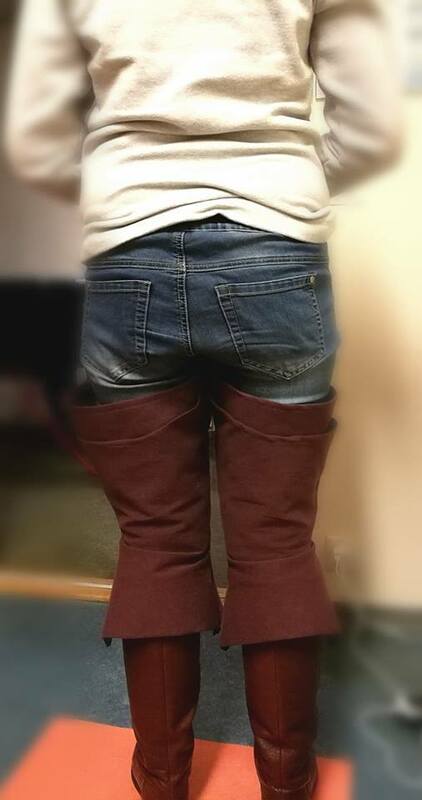 So, Suu's boots. 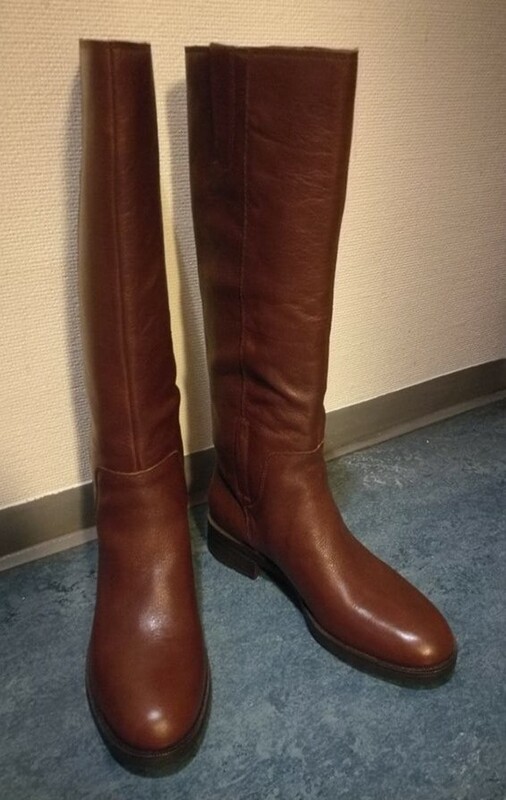 They look similar to plain brown riding boots. 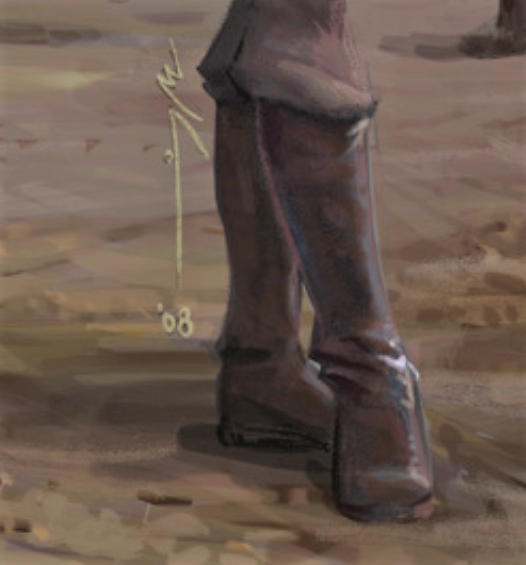 This last image is from the concept art. I think I will take a pair of regular riding boots and plasti-dip them brown. 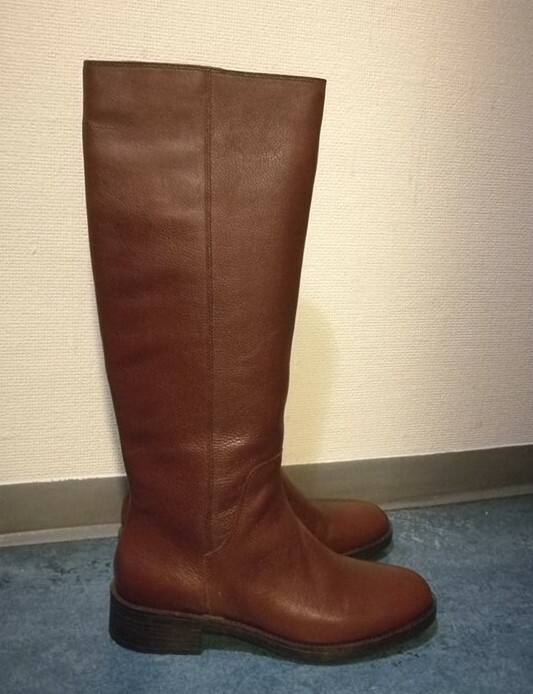 A pair of boots like these, they seem to be the closest thing available. I love your idea. Do you have any images of her back? Yes I do, but we don't see much of her back. I've gone through frame by frame on the DVD, and in the one scene where we see her straight from behind she is running, so things look blurry. You can't see much detail there at all. However, we can see the tattoos on her back from different angles, but no one clear frame straight on where you can see all at once. 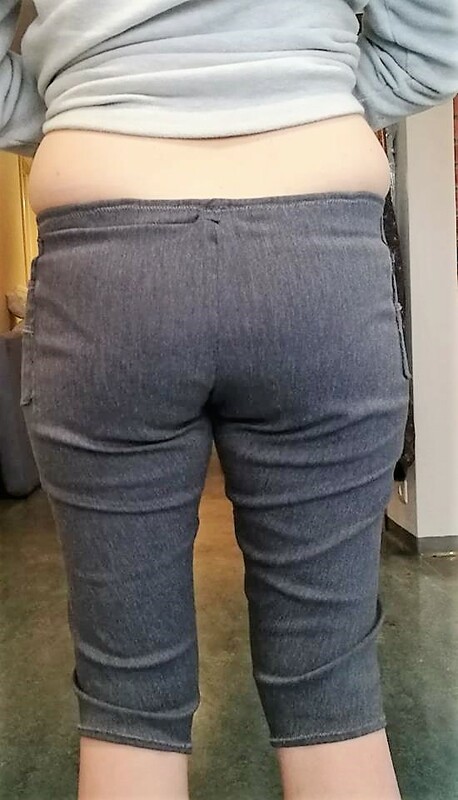 In this one you can see she has two small tattoos on her lower back above her belt, but none on the mid-section of her back. 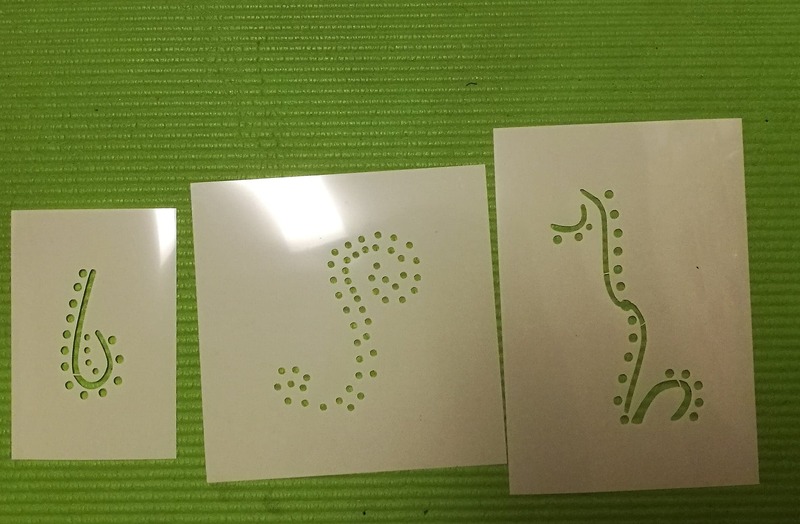 I've tried my hand at making a pattern. Some alterations need to be done to get it right, but it's a start. The boots had to be replaced. 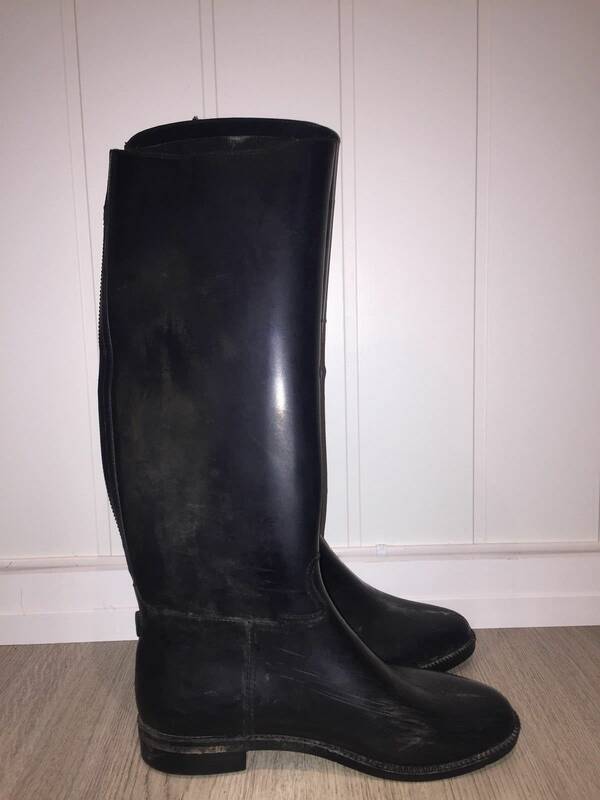 I tried to go over the black rubber riding boots with brown rubber spray, but the colour wasn't right and it would easily rub off with friction. 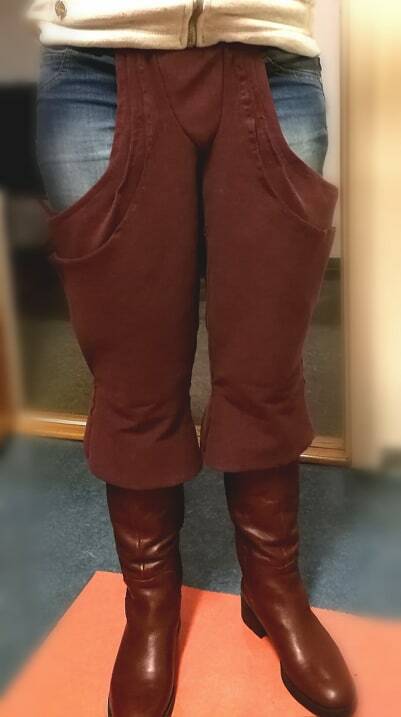 They're nice and plain, right height, good colour - the only thing I did was to remove the straps around the ankles. A closer look at Suu's belt. 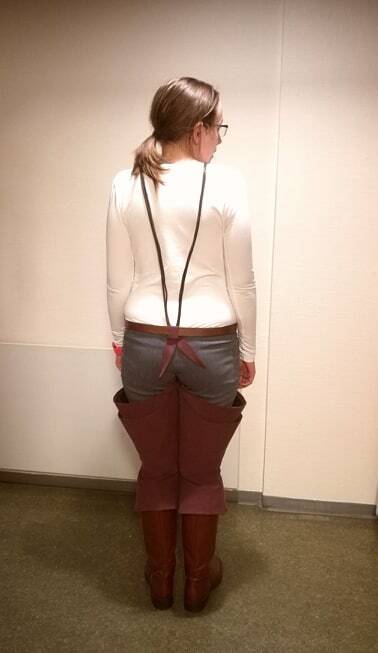 Looks like a narrow leather belt with one buckle in the middle (which I think I will make out of foamex/sintra) and two rivets/buttons on the sides to keep the jumpsuit attached to the belt. Not quite sure what kind of closing mechanism to use on the backside of the buckle, to hold the two ends of the belt together. You're making really good progress. Here's a reminder of what they look like. 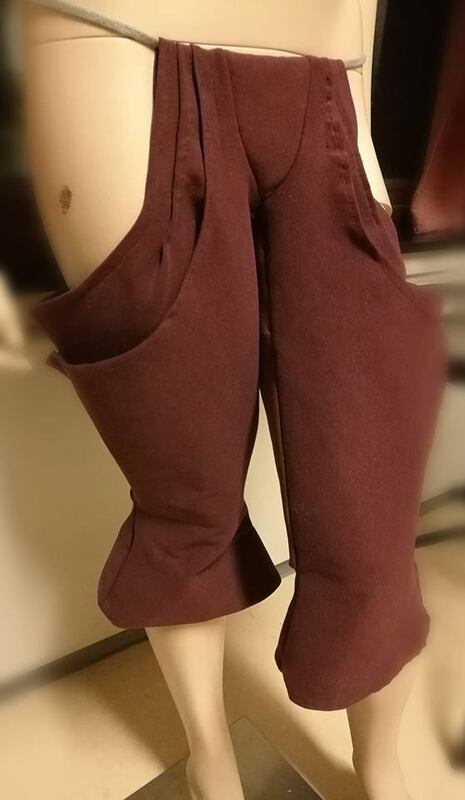 I made mine from a stretchy denim fabric, and made the legs in one piece each so there would be no seam along the outside of the leg. There is elastics in the top part. 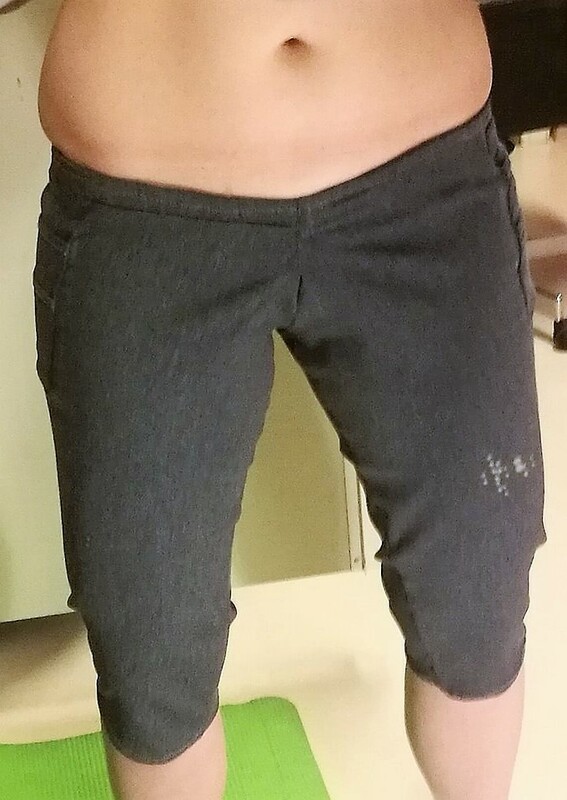 The thing on my leg in the last photo is because of something on the mirror in which the photo was taken. Not the best photo quality, I know. Do you have any issue with them when you bend and move? No, I have no issues with movement. They are quite stretchy and comfortable to wear. 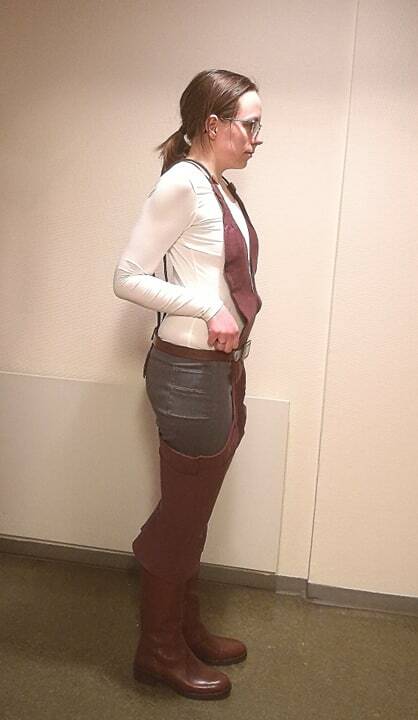 I have now added a zipper to the front of the trousers, which will be hidden behind the jumpsuit. 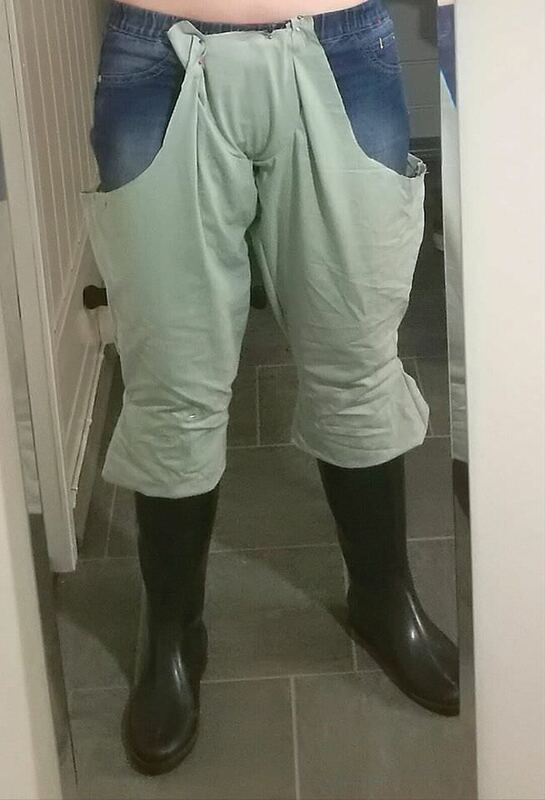 I have sewn velcro onto the outside of the upper edge of the trousers, in order to atttach the belt. I will make adjustments to align the two metallic "belt buttons" with the edges of the jumpsuit. The lateral edges of the torso parts of the jumpsuit will be fixed to my skin with fashion tape to keep them in place, unlike shown here. They are almost finished; I plan to add some shading to the sides of the lekku arch, where Suu has creases. I have also had a full set of stencils made (through the UK based "The Stencil Studio") to make tattoo application with bodypaint easier. I plan to compare the bodysuit pictured above against bodypaint; I could possibly have the bodysuit as backup for cold troops or a time saver.